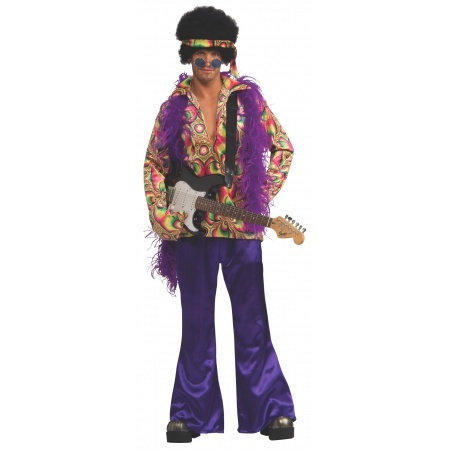 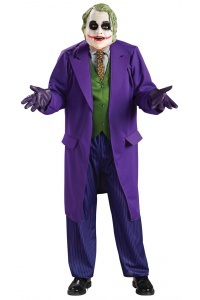 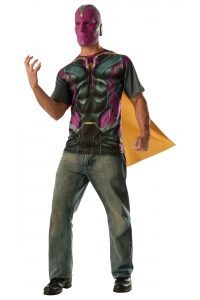 Our mens hippie costume includes a psychadelic men's shirt, matching headband and purple full-cut bell bottom pants. 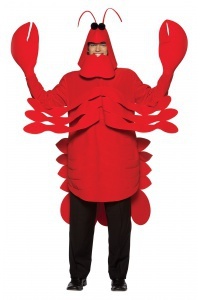 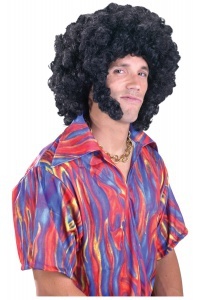 Our mens hippie costume comes in adult sizes Plus Size, Standard. 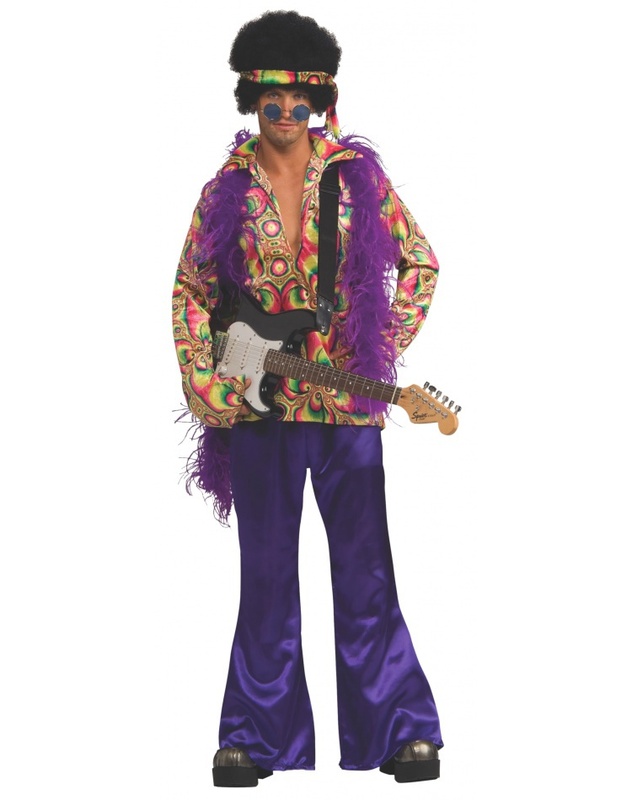 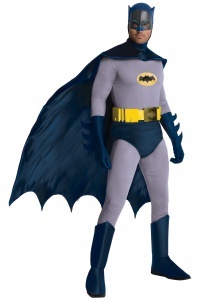 This outfit is perfect for a 60s or 70s hippie costume or Jimi Hendrix costume. 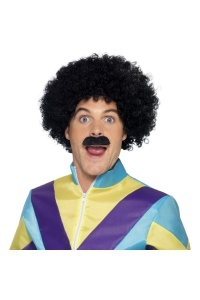 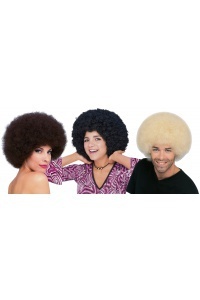 Afro wig and hippie sunglasses are available separately. 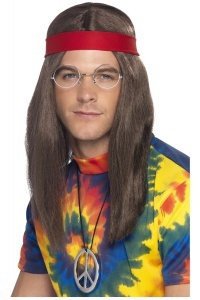 The guitar is not included with this mens hippie costume.